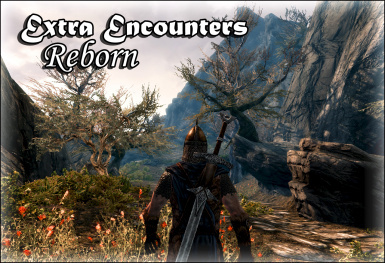 Extra Encounters Reborn adds a variety of lore friendly, levelled, randomised encounters to the wilds of Skyrim. Extra Encounters Reborn - C.S.P. Extra Encounters Reborn - H.S.R. 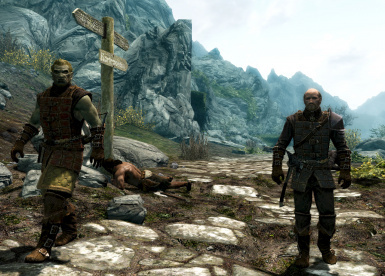 The point of this mod is not to drastically change the Skyrim experience, but rather to add to it. 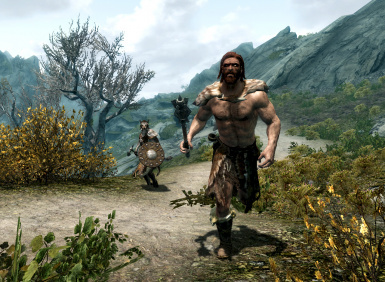 These new encounters are frequent enough to make exploring Skyrim fun again, but not so much that they make Skyrim overcrowded and unrealistic. 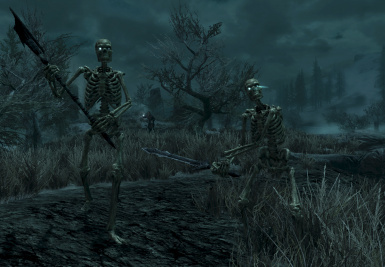 They have also been designed so that they are similar to Bethesda's original encounters, with the hop being that you won't be able to tell the difference between the old encounters, and the new ones. Each encounter you come across is relevant to the current location. 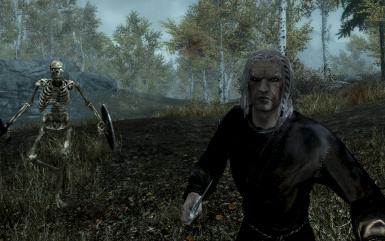 For example, Forsworn will not be found outside The Reach, and Stormcloak Soldiers are unlikely to be encountered near Solitude. 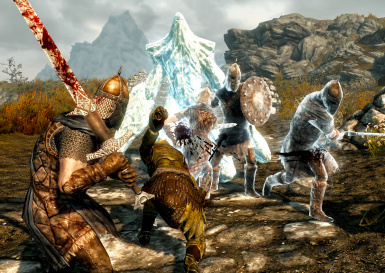 Some of the encounters you may come across include (but are not limited to): Bandits, Vigilants of Stendarr, Imperial Soldiers, Stormcloak Soldiers, Forsworn, Peddlers, Hunters, Thalmor Justicars, Mercenaries, Adventurers, Warlocks, Vampires, and more! 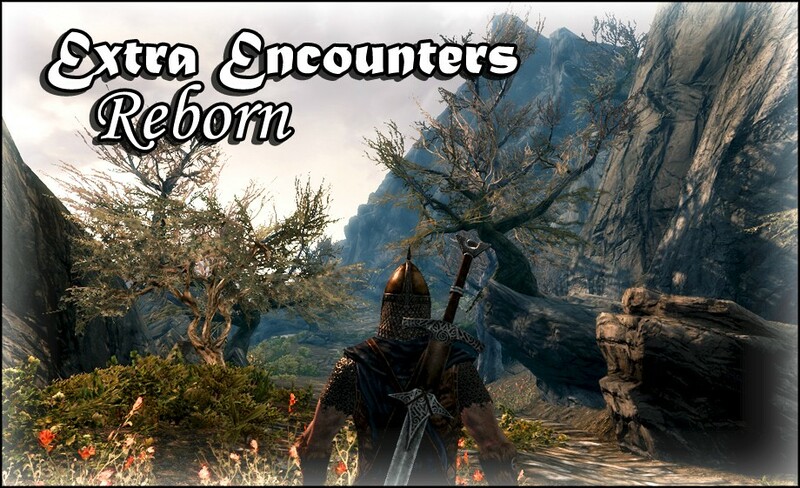 Extra Encounters Reborn currently has four different versions. They are all compatible with one another and are designed to work together. - Requires: Skyrim with the latest update. 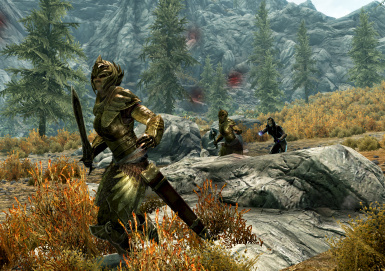 - Encounters are created via Skyrim's predator spawns. 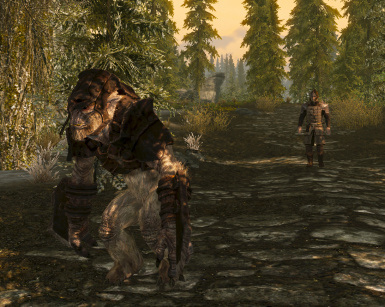 These spawns are found throughout Skyrim, and usually create things like bears or wolves. - Custom Spawn Points version (optional). 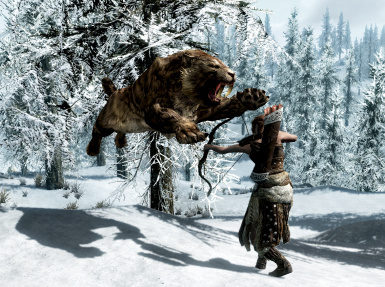 - Encounters are created via Skyrim's predator spawns. Each predator spawn now has a 25% chance of creating an encounter instead of a predator. - Encounters are also created via custom spawn points. There are 77 of these points in total, placed evenly across Skyrim. - Each custom spawn has a 50% chance of creating an encounter, and a 50% chance of creating nothing. - Higher Spawn Rate version (optional). 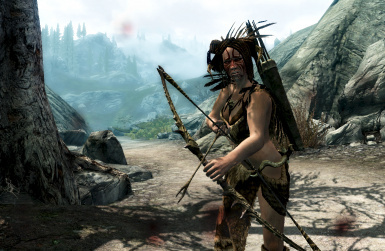 - Encounters are created via Skyrim's predator spawns. Each predator spawn now has a 50% chance of creating an encounter instead of a predator. - If the C.S.P. version is enabled, encounters will also be created via 77 custom spawn points, placed evenly across Skyrim. Each custom spawn has a 100% chance of creating an encounter. 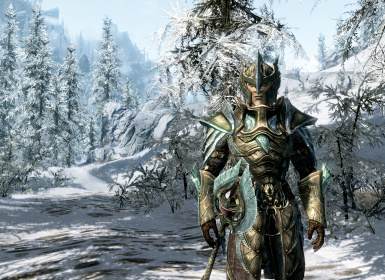 - Adds Dawnguard and additional Vampire encountners to the mix. They will only appear after the quest Bloodline has been finished. 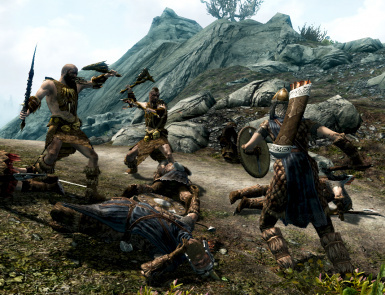 - Vigilants of Stendarr will no longer spawn after the quest Bloodline has been finished. Having the versions out of order will cause issues, so make sure you get it right! The following section will communicate what changes each version has made to the base game. This will help you identify a possible mod conflict. If there is a conflict, determine which mod is more important to you, then place the chosen mod lower in the load order. This will result in the chosen mod taking priority over the other mod. - Several cells within the Tamriel worldspace have had custom spawns added to them (most of these additions were made away from towns & cities). There are too many changes to list here. Please report any bugs you come across in the comments section. If you have discovered a confliction between this and another mod, be sure to let me know about it. Also if you have any ideas for additional encounters, list them in the comments section also. Finally, if you enjoy the mod, please don't forget to endorse it. I plan on adding additional encounters in the future to increase the variety. Future updates will also include bug fixes. 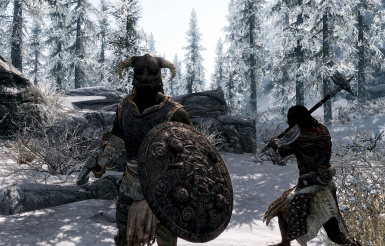 I may create a Dragonborn version if there is enough demand for it (although there is still the Dragonborn version for the old Extra Encounters mod). 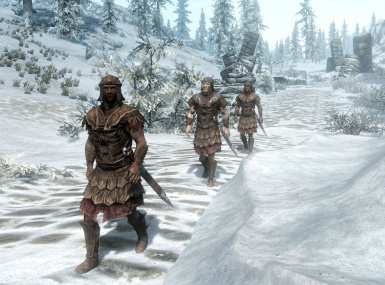 - Peddlers, Mercenaries, and Adventurers (from the new encounters) may not react if you are caught pickpocketing them. No idea why this is happening. Q - Is Extra Encounters compatible with (insert other mod name here)? A - If the mod in question is not mentioned under the compatibility section of this description, then I'm afraid I can't help you - you'll need to test the combination yourselves. If you do test it, please let me know of the results in the comments, so that I can add the conflicting mod to the list of compatible/non-compatible mods. Q - Will this mod cause save bloats? A - Each encounter will delete itself after you reach a certain distance from it (or if you enter a dungeon). 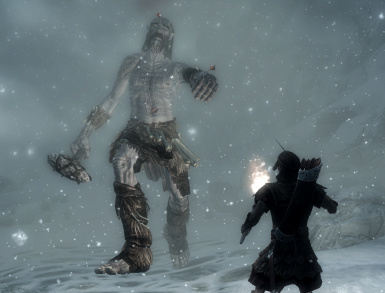 Dead bodies from an encounter will eventually vanish, as each encounter is set to respawn. Not only that, but each NPC & creature involved in an encounter is set so that they cannot disintegrated by lightning spells--no more ash piles lying around until the end of time. Q - How can I tell if the mod is working? A - Enable the mod (it doesn't matter which version, as long as Basic is enabled) and load any saved game. Open the console and type in "COC_ExtraEncounters" (but do not include the quotation marks or the underscore). You will find yourself in a test dungeon, where there are several buttons. Pressing a button will spawn either an animal, or an encounter (depending on the spawn rate of the version you're using). Keep in mind that sometimes pressing the button will not spawn anything at all (due to some encounters having set conditions). If you are unable to spawn a single encounter from the ten available buttons, you're either extremely unlucky, or the mod is not working properly (possibly due to a confliction). Q - I've looked around and I can't find any encounters. Where are they? A - First things first, do not go looking for the encounters, as you're going to find yourself very bored if you do that. The idea is that you come across these encounters while going throughout your travels. Keep in mind that you may need to wait a while in order to let everything respawn first. Q - I'm new to mods. how do I install & uninstall Extra Encounters? A - To install, place the .esp and .bsa files in the Skyrim/Data directory. Start up the launcher set up your load order, and then enabled the .esp files you want to use. To temporarily deactivate the mod, simple disable the .esp files. To uninstall, delete both the .exp and .bsa files. Q - If I uninstall this mod, will it cause issues with my recent saves? A - I tried it and nothing bad happened. That being said, you should always backup your saves before you activate a mod, just in case. Q - My game keeps crashing when this mod is enabled. Help? A - It's either a mod confliction, or you've accidentally got the load order wrong. Q - I have no mod conflictions and my load order is fine. My game keeps crashing when this mod is enabled. Help? A - It's got to be a problem on you end somewhere. I've tried this mod on two different computers; it works fine. Q - Can you make the spawn chance customisable? A - I cannot. Since the encounters do not rely on scripts, I am unable to make this happen. Q - Can you make vampires only appear at night? A - I tried it but I couldn't get it to work. If I figure it out, I'll definitely do it. Q - The old Extra Encounters mod had a few bugs in it. Are those fixed now? A - If these bugs include: encounters spawning near Helgen during the first quest and causing problems, encounters spawning inside dungeons, and the 'I'm Gonna F***ing Die' bug, then yes those problems are fixed now. - Basic version no longer edits any existing dungeons or worldspaces. 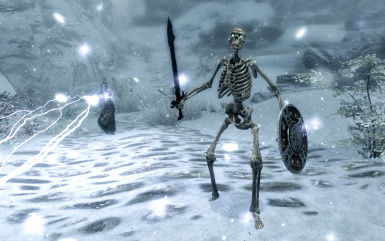 - Dawnguard version no longer edits any existing dungeons.